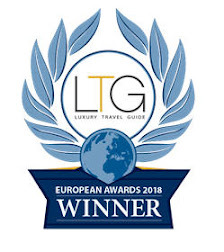 Our selection of best art, sport & cultural events in the Basque Country during August 2018. In Vitoria-Gasteiz. Fair of the Blanca. From August 5th until 8th. In Bilbao. Big week Festivals. From August, 18th to 26th. In Azpeitia, Biscay & Gipuzkoa. St Ignatius Loiola. In Azpeitia local music, food, drink and festivals. From July 30th to August 2nd. In Guernica. Day of the wine of Rioja Alavesa and of the Cod. Tasting and tasting Horticultural fair. Exhibition and sale of Basque ar-tesanía. August 4th. In Vitoria, La Blanca city Festivals. 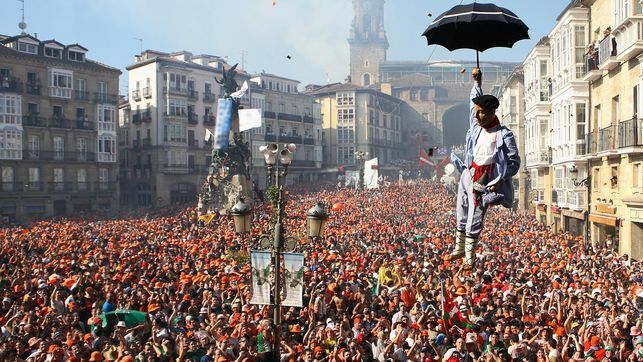 The most popular festival in the Basque Capital. Celedon will come down from San Miguel Church to symbolize the start of these festivals. From August, 4th to 9th. In Hondarribia. Agricultural Fair. Exhibition and sale of food products and exhibition of traditional crafts. August 5th. In Bayonne. Championship of France: recorte, gap and jumps. Bullfighting show without killing. Bullring. August 5th. In Vitoria-Gasteiz. Fair of the Blanca. Exhibition and sale of crafts and food products. From August 5th until 8th. In Getaria.Tribute to Juan Sebastián Elcano, the first to go around the world. Every four years, since 1922, the town represents the landing of Elcano in San Lucar de Barrameda. 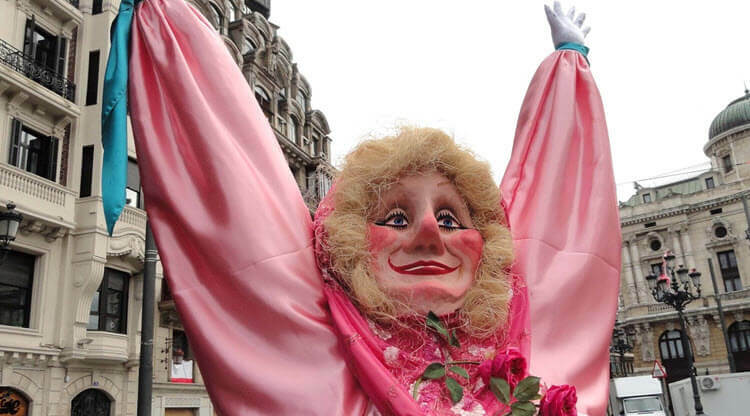 Fiestas of San Salvador. Medieval fair all day. For the 800th anniversary of the Villa will be the replica of the Nao Victoria, which can be visited. August 7th. In Biarritz. Night market. Stands of gastronomy, beach items, jewelery, local products or souvenirs, all in a light and festive atmosphere, where entertainment, songs and dances, are never left out. Halles of Biarritz. August 8th, 16th, 22nd and 29th. In Iruña de Oca. Full Moon Party. St. Lorenzo Day.It is an evening stroll through the Botanical Garden of Santa Catalina de Badaia. During the tour, there are several stops, where you will hear legends and stories that will impregnate your mind with the magic of the moon and the charm of the place. August 10th. In Zumaia. Agricultural Fair. Euskal Jai Fair. Products of the hamlet. Food, artisans and workshops. August 10th. In Getxo (Alcorta). Market of San Lorenzo. Exhibition and sale of farm products, contest of vegetables, cheeses and plants. August 10th. In San Sebastian. Semana Grande (Big week) Festivals. Popular party with famous fireworks in Concha beach and lots of visitors. From August, 11th to 18th. In San Sebastian. Fair of agricultural products of the Basque Country. August 11th and 18th. In Saint Jean de Luz. Lâcher de lanternes. Show. August 14th. In Araia. Shepherd Day. Exhibition and sale of cheese, artisan and ecological products. XV edition of the Idiazabal cheese contest. Alava Championship of Dogs Pastor. Tuesday, August 15th. In Bayonne. Corrida Goyesque. 11am: Novillada without picador. 18h: Corrida goyesque. Bullring. August 15th. In Llodio, Bilbao, San Sebastian, Amurrio, Moreda de Álava, Nanclares de Oca, Elvillar, Asparrena, Portugalete, Guernika,... Feasts in honor to Our Lady of the Assumption (August 15th) and San Roque (August 16th). In Bilbao. Semana Grande (Big week) Festivals. One of the most popular parties in the Basque Country. From August, 18th to 26th. In Saint Jean de Luz. Celebrations of the Sea 2018. August 18th and 19th. In Bilbao. The whale parade. Parade of giant figures for children and adults. Gran Via Avenue. August 19th. In San Sebastian. Naval Museum From March 9th until September 30th. In Biarritz. Piano Festival. Le Bellevue Place. From August 1st until 8th. In Biarritz. Thursdays in the gardens of the ocean. This summer event offers a selection of exceptional artists: concerts, circuses or acrobats, contemporary or urban dance, exhibition or outdoor cinema. City of the ocean. August 2nd, 9th, 16th and 23th. In Biarritz. THE JEANS. Pascal JEAN oboe teacher at the Conservatory of Landes and solo oboe of the Landes Opera invites you with his children: Baptiste JEAN violin, Christophe JEAN violin, Pierre-Pascal JEAN alto and Marie-Cécile JEAN cello winners of the Conservatories of Bayonne, Bordeaux, the Landes and Lyon to a musical journey through Baroque, classical, contemporary and world music. Church St Martin. 21:00 h. Free entry fees. August 3rd. In San Sebastian. Glad is the Day Festival Music with concerts, DJs, flea markets and children's activities. Cristina Enea Park. August 5th. In Biarritz. Itsasoa choir. This mixed choir proposes to make known the polyphonic richness of the Basque songs which constitute 80% of its repertoire, and to devote the rest of its program to an international repertoire. Church of St. Eugenie. 21:00 h. August 7th. In Biarritz. Malandain Ballet Biarritz - Noah. "Masterpiece" according to Le Figaro. Gare du midi Theater. 21:00 h. August 8th, 9th and 10th. In Biarritz. Fireworks. Theme: "The Masters of Fire". Great Beach / Basta Boulevard / General de Gaulle street. August 15th. In Biarritz. Oldarra - Men's choir from the Basque Country. Oldarra (meaning moose in Basque) is composed of forty amateur singers. He interprets, a capella, both religious and secular polyphonic works. Originally exclusively Basque, the repertoire has expanded, incorporating works from around the world. Church of St. Eugenie. 21:30 h. August 20th. In Saint Jean de Luz. International professionals of cesta punta. Jai Alai. From July 5th until August 30th. In Saint Jean de Luz. Basque ball chistera Joko Garbi and Basque dances. Municipal fronton. August 1st, 8th, 22nd, 27th and 29th. In Biarritz. Traditional Basque Sport. August 2nd, 12th and 19th. In San Sebastián. The "Classic" Cyclist race. It is part of the UCI ProTour. It starts in the morning and returns to the city in the afternoon with a route of 225 km throughout the province. August 4th. In Saint Jean de Luz. Traditionnels Basques Sports. Municipal Fronton. August 6th, 13th and 20th. In Bayonne. Baionan Summer Rugby. Before the return of the championship of PRO D2, the men of Yannick Bru will welcome Pau. Stade Jean Dauger. August 8th. In Ondarroa. Rowing competition "Traineras". Liga Eusko Label. Traditional Basque Sport. August 11th. In Hondarribia. 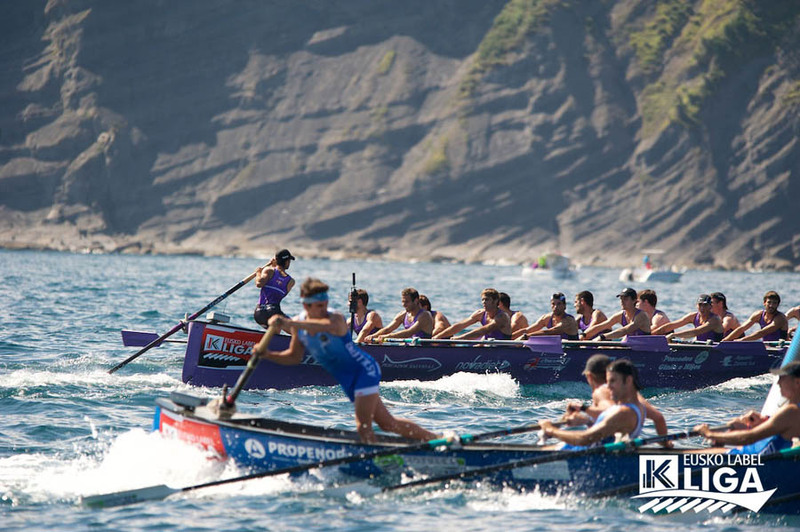 Rowing competition "Traineras". Liga Eusko Label. Traditional Basque Sport. August 12th. In Bayonne. Great Basque Pelota Week: Champioship Finals of France. 5:30 pm Final big female chistera. 18:30 Final chistera joko garbi chick. 7:30 pm Final chistera joko garbi benjamin. 8:30 pm Final chistera joko garbi junior. Fronton of the Jean Dauger stadium. August 15th. In Bilbao. Herri Kirolak. Basque Sports. The Arenal. During the Big Party Aste Nagusia. From August 18th until 26th. In Zarautz. 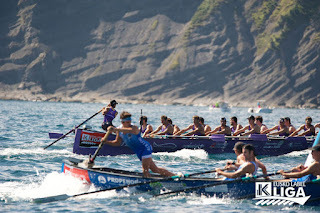 Rowing competition "Traineras". Liga Eusko Label. Traditional Basque Sport. August 18th and 19th. In Bayonne. 9th Meeting Ferrari. Baptism in Ferrari, a charity event organized by the Lion's Club for children in need. Place des Basques. From August 24th until 26th. In Biarritz. Jai Alai Basque traditional sport competition. Several dates on August.